Just one year after scientists in China made history by modifying the DNA of human embryos, a second team of Chinese researchers has done it again. Using CRISPR/Cas9, the researchers introduced HIV-resistance into the embryos, showcasing the tremendous potential for gene-editing. In that earlier work, the Chinese scientists modified a gene responsible for a fatal blood disorder, but the embryos were quickly destroyed after the experiment. It was a watershed moment in biotechnology, showcasing the tremendous potential of CRISPR—a powerful gene editing tool—to alter our offspring at the genetic level. Should this technology ever reach the clinical stage, it could be used to eliminate all sorts of genetic diseases, but it could also be used to introduce entirely new capacities. For the study, the researchers collected 213 fertilized human eggs, donated by 87 patients. All of the embryos were unsuitable for in vitro fertilization because they contained an extra set of chromosomes. The researchers destroyed the embryos after three days. Of the 26 human embryos targeted, only four were successfully modified; a significant number of embryos experienced unintended mutations. Like the previous Chinese study, this research shows how far we still are from being able to use CRISPR in a precise way, without triggering these “off target” mutations. Experiments like this are not without controversy. There’s still some unease about modifying human embryos in the lab, even if they’re not used to facilitate a pregnancy. Some critics of the new study say scientists shouldn’t be “playing” with human embryos like this, arguing that embryos derived from primates would serve just as well. Also, there’s significant concern that, in future, these germline modifications might be passed down to the next generation, which would could result in unforeseen consequences. And of course, there’s the inhibition about “designer babies” and the prospect of human enhancement. A strong case can be made that this latest research, in which an immunity to HIV was conferred to the embryos, resulted in an enhancement. Technically speaking, the researchers weren’t trying to treat a genetic disease. Rather, they added an immunity to a virus. So in a sense it’s like a vaccination, but one done at the genetic level—and one that could, in theory, be passed down to the next generation. Regardless, this study shows how difficult it’s going to be to discern therapy from enhancement. 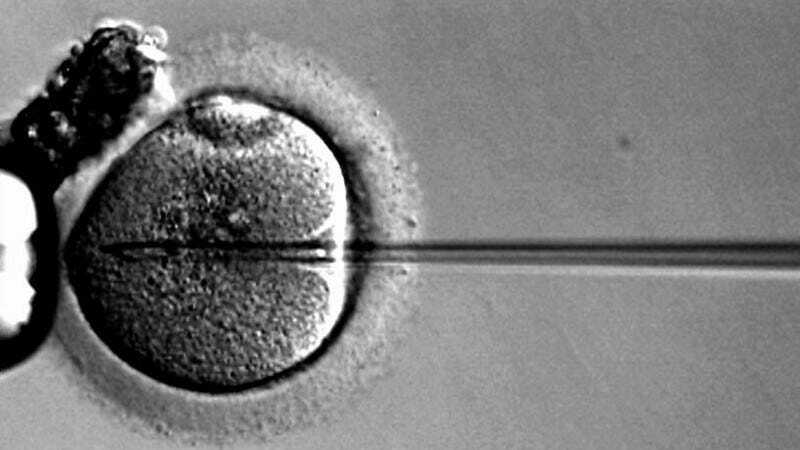 Late last year, the International Summit on Human Gene Editing decided that it was okay for U.S. researchers to edit human embryos, so long as it doesn’t result in a pregnancy. Exact guidelines on how American scientists are to proceed are expected later this year. Similarly, a British team was recently given the greenlight to modify human embryos for research into fetal development. Progress in this area is thus set to advance in the U.S. and the U.K., but clearly the Chinese are ahead of the game—whether you agree with their methods or not.